On May 1, Drexel University will host the third annual Day of Giving, an online fundraising campaign promoted through additional on-campus events designed to garner as much support for the university as possible within 24 hours. This year’s theme “change the game” encourages students, faculty, advisors and other friends of the university to become game-changers by donating to specific allocations that matter to them, which brings the community together and ultimately coincides with the overall goals of the university. According to Andi Bricklin, associate director of digital marketing, the campaign’s reach expands across the university by enhancing various college offerings, amplifying experiential opportunities like co-op and study abroad, elevating student life by fostering student organizations such as athletics and Greek life, while also boosting civic engagement through entities such as the Lindy Center and Dornsife. Other featured allocations this year include EAT Cafe, Veteran Student Services, Drexel Hillel, Drexel Newman, Dragon Hacks, Operation Graduation and The Drexel University Black Alumni Council. While the campaign is geared toward accruing online donations, there will also be a noticeable presence throughout campus, particularly in the Recreation Center and in the Main Building. Participants will be reminded of the “change the game” theme through in-person and virtual gaming opportunities — some of which can win donors more money towards their specified donation, she said. And that’s the premise of this campaign: allowing donors to choose specific allocations that are meaningful to them. While the university continuously undergoes fundraising endeavors, through this campaign, donors can decide exactly where their funds will go, rather than placing a broad donation to the institution altogether, Bricklin said. “It’s a way that you can give not only to the university as a whole, but to those things that matter to you the most,” David Kaganovsky, the alumni board of governors chair, said, explaining how the campaign shifts the focus from general infrastructure improvements to bettering the students themselves. “It’s a way for all of us to heighten the quality of our programs, augment current offerings and to even develop new initiatives as a result of increased resources,” Assistant Vice President of Student Life Rebecca Weidensaul added. Weidensaul oversees various components of student life that are impacted by the Day of Giving, namely the Office of Veteran Student Services. According to Weidensaul, last year’s funds directly supported student veterans by revamping the veterans’ lounge, covering costs of events that focus on career transitions and hosting mixers for veteran alumni and current veteran students, although the Office of Veteran Student Services represents just a mere slice of student life that benefited from the campaign. The wrestling team, headed by coach Matt Azevedo, was one of the biggest success stories from last year’s campaign, which Azevedo attributes to the already competitive nature of athletes. The team received funding from 404 individual donors in the 24-hour period, which was the most gifts earned within any organization in the university. While Azevedo was happy the funds could be utilized to boost the team’s facilities, travel opportunities and scouting abilities, he explained how donated funds signify more than just physical improvements for the team. “It’s important to give back so that Drexel can continue to be a great institution — an institution that current students and alumni can be proud of. Trying to improve the university through donations is just something small that everyone can do. It’s a way to give back to the place that gave them so much,” Azevedo said. He added that the campaign helps to improve the student experience overall by increasing the number of opportunities available to students. Beyond the transformative effect the campaign yields on many components of student life across the university, the colleges themselves directly benefit from the campaign, according to Sabinson. Sabinson said funds support a wide range of services across the university, such as scholarships, events, study abroad programs and advanced technology. For Westphal specifically, Sabinson is thankful that funds can benefit the theatre program, specialized equipment and funding for unpaid co-ops. “Not everything that happens at Drexel comes from tuition dollars; in fact, most things come from philanthropic support,” Bricklin added, emphasizing how gifts count more on this day both individually and collectively. Weidensaul said this collective effort helps to communicate aspirations of the university with its stakeholders so that ideas can become implemented, making dreams realities. 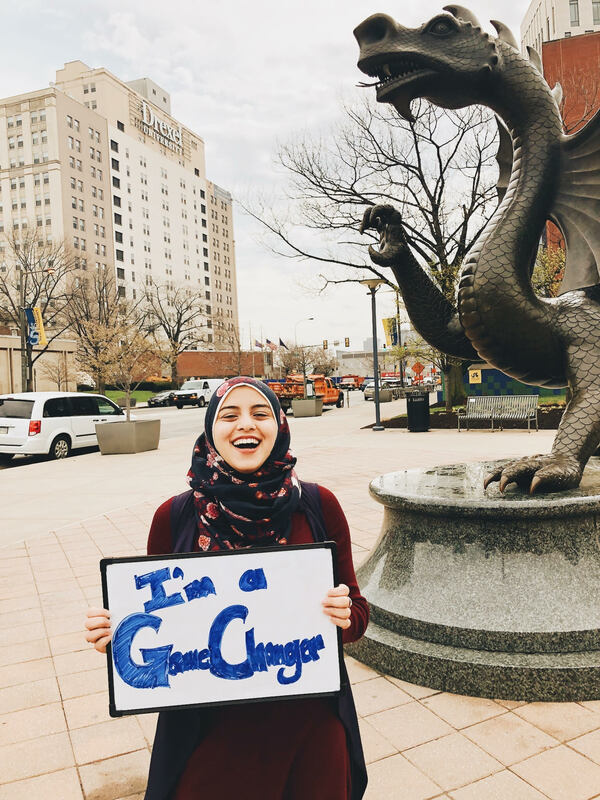 In addition to pushing philanthropic values in the Drexel community, the campaign is also intended to ignite pride amongst students, faculty and alumni. “It’s a day of pride. It’s a day of showing university support — not just in Philly, but all over the globe,” Bricklin said. Bricklin explained how building this sense of pride is the campaign’s biggest goal. In fact, there is not a precise dollar goal to raise; the team just wants to see as many donors emerge as possible, and encourages all levels of donations. Last year, 3,707 supporters gave $824,534 to the Day of Giving. “It’s symbolic more than monetary,” Weidensaul said. More funds would mean more improvements to student life on campus, but this particular initiative is more concerned with engagement overall. “The $10 gift is in many ways as cool as the $1 million gift because it comes from somebody that cares,” Sabinson said. “Engagement is the most important thing. We’re not judging on what people can give,” Kaganovsky added. While the campaign acts as a vehicle to measure university progress, it’s up to everyone to decide what value their Drexel education has held and if they wish to become ‘game changers’ for the university. “You’re investing in what matters to you,” Weidensaul said. Sabinson explained how the campaign also signifies an investment in the overall future of the university and the impact its students will have on the world.